Topps Tiles cashback can be earned simply by clicking through to the merchant and shopping as normal. Topps Tiles Cashback is available through TopCashback on genuine, tracked transactions completed immediately and wholly online. If you are looking to give your kitchen or bathroom a stylish makeover, ensure you do it for less by getting money back when shopping online for high-quality products which are already being offered at great value with our Topps Tiles cashback deals. Britain's biggest tile specialist, operating 373 UK stores, inspires customers with an amazing choice and exceptional levels of customer service. As well as offering a superb range of tiles, you will also find plenty of tips and guides, whether you are looking for help choosing the right tiles or completing your property project. Not only do they offer a price match guarantee, but you are also sure to find superb discounts in the Topps Tiles sale section. What's more, their Loan a Tile service will provide you with a sample - with free delivery - if you need to see how a particular style or colour will look in a room. Whatever job you are buying tiles for, Topps Tiles offer a huge range of kitchen and bathroom tiles, solutions for wet rooms and wall and floor tiles. You can choose by size or colour, while when it comes to the different materials available, they have ceramic, glass, porcelain, granite, marble and much more. If you are searching for a particular effect, meanwhile, you can opt for tiles which offer a wood, concrete, brick or geometric look, while their extensive tile collection also includes mosaic and natural stone tiles. When it comes to those essential tiling accessories and tools needed to complete the job, you can buy grout and adhesives, as well as trims and cutters. The Topps Tiles story can be traced back to 1963, when the first store was opened in Manchester by Ted Derbyshire. Tile Kingdom, which had expanded rapidly in the 1980s, bought and became Topps Tiles in 1990, resulting in their being 40 stores across the UK. They launched their first how to video in 1998, informing customers on how to tile their home, while the following year saw them reach 100 stores. Topps Tiles won the Plc of the Year award in 2003 and 2004, while they opened their 250th store in 2006. They began selling online in 2008, while two years later saw them launch their online tile visualiser. They unveiled a new concept lab store in Milton Keynes in 2012, with successful lab store innovations rolled out across their stores, which by then totalled 328, a year later. By 2014, Topps Tiles had opened its first boutique stores in London. Topps Tiles are aware that choosing the right style and design for your space can be tricky, which is why they provide a sample service with free delivery. It allows you to view different tiles in their home, meaning you can see which colours and designs work best with your tastes. With their Loan a Tile service, you can order up to six samples at any one time. Smaller samples are delivered by Royal Mail, while larger ones will arrive via their courier service. All full samples can be returned to a store within 60 days for a full refund, although no refunds will be given on cut samples. All you need to do is click Order Sample on the product page and add it to your basket, and they can be sent to your home or work address. They have the majority of tiles in stock, but some may have to be ordered specially and will take a little longer to arrive. 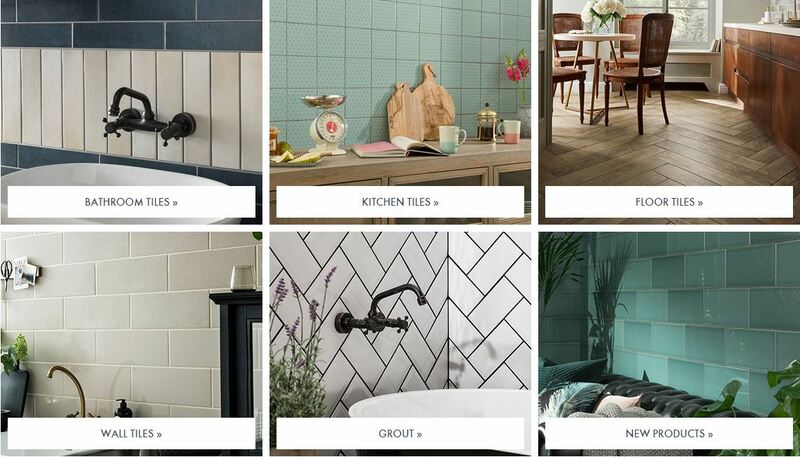 If you need some help choosing the right products or completing your DIY project, the Style & Inspiration section of the Topps Tiles website is the place to go. You can use their room visualiser to create your dream look online and choose from bathrooms, kitchens, living areas, outdoor areas and even commercial office spaces. It will allow you to choose and lay tiles however you wish, mix and match styles, change patterns and draw areas for features. Just pick a room category, choose a room and start decorating. You can also view the customer gallery to get ideas, while their blog is a great source of the latest trends and style ideas. You can also take a look at laying patterns, while their videos will show how some of their favourite tiles will work. We have it covered when it comes to earning cashback rewards when shopping for tiles and flooring. Topps Tiles is the UK's leading tile and wood flooring specialist, supplying tiles, wood flooring and associated accessories to both a retail and trade customer base. Shop for floor and wall tiles, kitchen and bathroom tiles, mosaic and natural stone tiles, wood flooring, tools and essentials. Buy online and earn rewards.